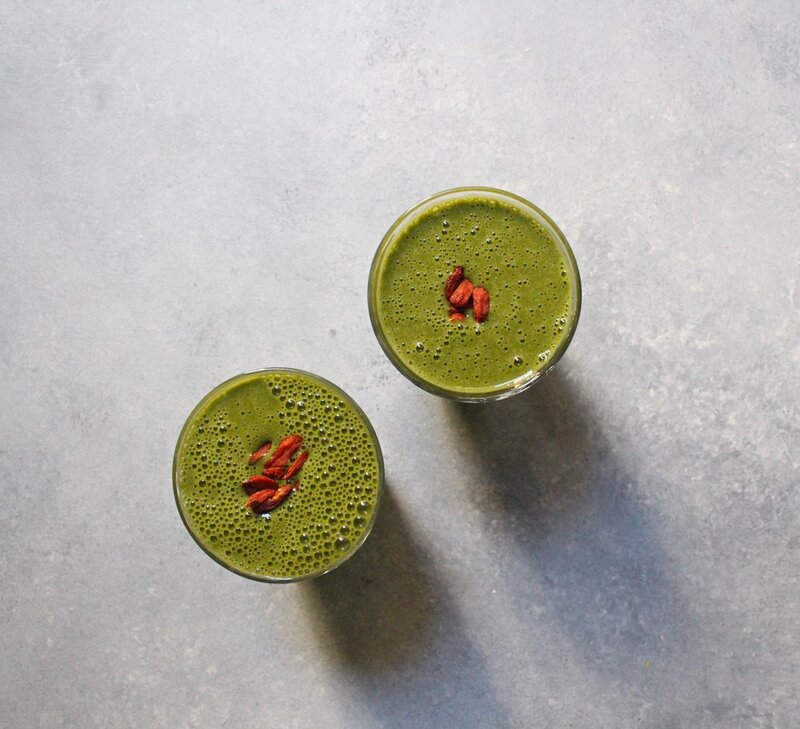 Day 3 begins with a very green and energizing smoothie, followed by an antioxidant rich soup, and finishes with veggie noodles covered in a super green pesto. Load up on antioxidants and immune boosters first thing with this fully loaded smoothie time. Blend all of the ingredients together in a high speed blender and top with preferred garnishes. top 1 hard boiled egg with a teaspoon of everything bagel spice - if you don't own it, make your own. For the everything bagel spice combine: 1 tablespoon each poppy seeds, toasted sesame seeds, dried garlic flakes, dried onion flakes, and 2 teaspoons coarse salt. Not only is this soup super simple to make, it is loaded with immunity boosters from ginger, turmeric, and the spices in curry powder. Carrots contain antioxidant rich Vitamin A, which helps fend off free radicals and promotes eye health. They also contain biotin, which helps support supple and glowy skin. In a large pot, warm the oil over medium heat. Add the onion and sauté for 5 minutes or until translucent and golden. Add the garlic, ginger, red pepper flakes, curry powder, turmeric, and salt and pepper. Cook for 2 minutes more, making sure that the spices coat the aromatics. Add the carrots and the stock, bring to a boil, and then reduce to a simmer. Cover and cook for 30 minutes or until carrots are fork tender. Turn off heat and let cool slightly. Blend the soup in batches in a high speed blender until smooth and creamy. Transfer back to the pot, taste, and adjust seasoning, if needed. Serve in bowls topped with sesame seeds, cilantro, lime juice, and a drizzle of olive oil. Looking for a bright and flavorful lunch packed with nutrients. Look no further then these sweet potato noodles with kale pesto. Don't want sweet potatoes? Swap in carrot or zucchini and lose the blanching step, if you prefer raw vegetable noodles. Orange-hued fruits and vegetables are full of Vitamins A and C and, of course, fiber.